When banks, realtors or investors have abandoned or foreclosed properties on the books, they need a company that can help with the clean-up. However, since these properties are subject to hazardous conditions, only the most qualified companies should be hired. Maybe it’s a home that’s been foreclosed on maybe you’ve had a summer project that left more debris than planned. If you have a property that needs to be cleaned up, choose a professional company who can handle it all. 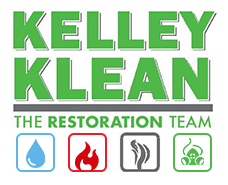 Kelley Klean is a full-service restoration company that can take on all types of property cleanup projects. From clearing out a foreclosed home to dealing with mold, vandalism or water damage, we can do it all. Servicing the Columbia, Jefferson City, and Central Missouri areas, we are the proud contractor of choice in the Mid-Missouri area. When you pick up the phone to call Kelley Klean, you are reaching out to over 30 years of cleaning experience. Established in 1986, Kelley Klean has worked in thousands of residential, industrial and commercial properties. If you are interested in learning more about our property cleanup services or would like a competitive estimate, give us a call at 573-214-0990. Many of our clients give us a call after they have attempted to clean the property themselves. When you are dealing with a foreclosure, abandoned property or vandalism situation, you could be presented with challenges which you are simply not prepared. When you hire a professional company, you will have immediate access to the proper tools, equipment, and techniques that you would not have if you were to attempt it yourself. Kelley Klean can restore your home, property or construction site to an acceptable condition using our team of qualified technicians. In addition, we can haul away building materials, junk, and trash that is left behind, leaving you a clean and habitable property. If there’s a deadline such as an auction of the property or viewing, we can work with you to meet the demands of your timeline, and work to meet any timeframe you set for us. When our team arrives at your location, we will first assess the work to be done by identifying the situation. We will then determine the level of clutter and decide if anything needs to be sorted or packed. We will check for hazardous conditions, and look for traces of water damage, mold or other factors that may require mitigation. From there, we can make a game plan that includes property cleanup, disinfecting any affected areas, and addressing hazardous conditions such as board-up, mold remediation or necessary repairs. If there are items present on the property, it is important to us at Kelley Klean to be environmentally conscious and work to reuse, recycle or donate any items that we can before taking the rest to the landfill. That being said, if we do need to empty the property, we will always work with the client to ensure that we know what is going or staying; we will never donate an item that does not first have the approval of the property owner. Other services, such as power washing building exteriors. At Kelley Klean, we will not simply stop at the interior. We take pride in the final result of both the interior and exterior spaces of your property. Unfortunately, homes are being foreclosed upon at a fast rate, and Kelley Klean understands the faster we can clean up your property, the faster you can get it back on the market. We work with banks, investors and realtors to help them maximize the overall return on their investment. If you have a property that has been foreclosed, vandalized or abandoned, give Kelley Klean a call. If you are looking for hoarding clean up services you can get help as well. Established in 1986, we understand the sense of urgency to clear and clean any properties you may have on the books. Give us a call at 573-214-0990!